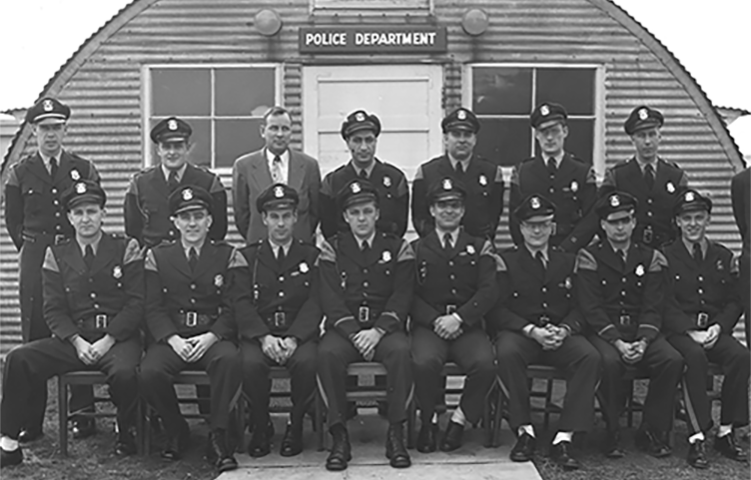 The police force for the Michigan State College was established in 1928 when the first uniformed and armed officer, Donald J. Bremer, began patrolling the college campus. To assist with patrol duties, Officer Bremer received support from student watchmen who were stationed in various buildings across campus. During that time, calls for service were operated by the college telephone operator who would notify Officer Bremer by turning on white lights mounted on the power house tower whenever police services were needed on campus. In 1934, a second officer was hired to assist Officer Bremer with responding to calls for service. In 1937, an agreement was made with the City of East Lansing for the East Lansing Police Department Chief of Police to act as a supervisor for the campus police force. Under the East Lansing Police Department administration, the Michigan State College police force utilized three vehicles equipped with one-way radios to monitor the State Police network. On September 23, 1947, the Michigan State College police force separated from the East Lansing Police Department. 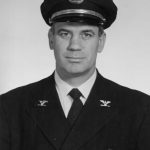 Arthur F. Brandstatter was appointed as the Chief of the Michigan State College police force and defined the direction and goals of the department. After gaining independence, the Michigan State College police facility began as a set of quonset huts on the property where the Jack Breslin Student Events Center currently resides. In 1975, a new facility was established on Red Cedar Road, where it still stands today on the campus of Michigan State University. What was once a one-officer patrol has now grown to a full-service law enforcement agency with over 88 police officers and has become a leader amongst police departments. The vision began in 1928 and lives on with each MSU Police Department employee to provide a safe and friendly environment on the campus of MSU. As the first Police Chief at Michigan State College, Arthur F. Brandstatter established the direction and goals of the organization. Police powers were defined and the organizational presence strengthened which formulated the concept of public safety on campus. Brandstatter also served as the Director of the School of Police Administration and Public Safety. 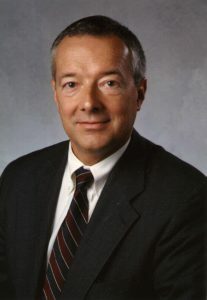 Richard O. Bernitt was known as the guiding force in developing the organization to respond to all public safety needs within the campus community. The years Bernitt served are characterized by the elevation of professional standards and the development of administrators. Bernitt was a firm believer in the need for a college education which over time led to the department requiring a minimum of a 4-year degree to serve as a police officer, which is a requirement that still stands today. 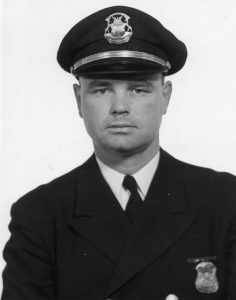 Bruce L. Benson, Ph.D., adopted the concept of community policing which created a shift in attitude from neutral policing to close personal involvement between the officers and the members of the community. The department’s community policing program became one of the first in the country to be implemented on a college campus. Benson also utilized grant funding opportunities to increase the workforce at MSU. James H. Dunlap expanded the department’s commitment to community policing to include all members of the department. Under Dunlap’s leadership, the department continued to grow as one of the largest police department’s in the state of Michigan. At the time of his retirement, Chief Dunlap had served this department for 50 years (1969-2019) and is the longest serving member in the history of the department. At his direction, the department advanced with technology and resources to assist law enforcement. Innovative units and teams were developed to include the Bike Unit, Motor Unit, Inclusion and Anti-Bias Unit, Behavioral Threat Assessment Unit, Digital Forensics and Cyber Crime Unit, Special Victims Unit, Ingham Regional Special Response Team, and the Ingham Regional Crash Investigation Team. Dunlap also added a Crime and Intelligence Analyst and a Communications and Digital Strategist to the department. In October 2017, the department became accredited in emergency management by the Emergency Management Accreditation Program as the fifth institution of higher education in the nation and only the second program in the State of Michigan. 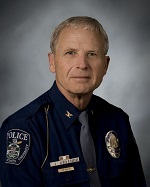 Chief Dunlap retired on December 31, 2018 and serves as an advisor to the MSU President until April 2019. Kelly Roudebush was selected on November 27, 2018 by Interim President John Engler to become the fifth Police Chief and Director on January 1, 2019. 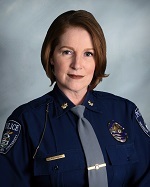 Chief Roudebush is the first female Police Chief and Director in the history of the department and previously served as the Field Services Bureau Commander. Chief Roudebush was promoted from Captain on January 1, 2018 and previously commanded the Uniform and Special Events Divisions. She joined the department in 1994 and has worked closely with a number of units/departments across campus and in the local area, including: Residence Education and Housing Services, Ingham 9-1-1 Center Advisory Board and Athletics, to name a few. Chief Roudebush is currently working on improving radio coverage for law enforcement and fire agencies in Ingham County, launching the Center for Trauma Informed Investigative Excellence, and increasing the number of faculty, staff and students trained in tactics for active shooter incidents.